Takeaway: Boost the performance of your garden with the latest products available for modern growers. This time we are featuring nutrients, pest control options, and lighting technology from a variety of companies, including KIND LED, Growth Science Nutrients, Supreme Growers, Hydroworxx, Dr. Earth, and Reiziger. These products are all #GoodtoGrow. Base A and Base B form the foundation of the Growth Science nutrient regimen. Base A provides nitrogen, calcium, and essential micronutrients, while Base B provides magnesium, phosphorous, and potassium. Growth Science is designed to be a simple-to-use nutrient regimen that contains the needed components to help achieve maximum yields of high-quality finished product. Combine with Solid Start in the vegetative stage or Rock Solid in the flowering stage in order to deliver the optimal N-P-K needed to drive healthy plant or flower growth. 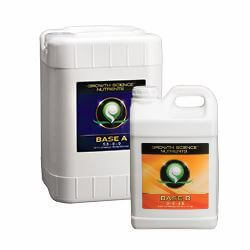 Base A and B are optimized for soil, coco, and all hydroponic mediums. Neudorff, the German market leader for home care products, is proud to introduce its newest line of responsible products: HydroWorxx. The HydroWorxx line solves pest problems with six EPA-registered products. It’s the first pest control line to combine high efficacy and OMRI certification, creating the urban gardener’s complete solution for damaging mites, fungi, and insects. 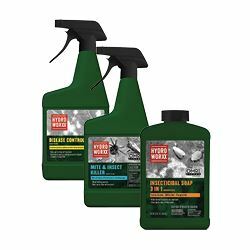 Available in concentrate and RTU formulas, the HydroWorxx line includes Insecticidal Soap 3-in-1 and Mite and Insect Killer, which allows consumers to tackle most pest problems that invade high-value crops. HydroWorxx Disease Control takes on powdery mildew, downy mildew and more, so plants can thrive fungi-free. All products in the HydroWorxx line can be used until day of harvest, won’t burn plants, give off an unpleasant odor, or require that gardeners apply them frequently. With fewer applications, urban growers can give crops the type of protection that gardeners value: effective, reliable, and responsible. Produce exceptional results with Dr. Earth Premium Gold All Purpose Fertilizer, which is OMRI-listed and CDFA-certified organic. Premium Gold All Purpose Fertilizer builds the soil and promotes plant health and disease resistance by providing balanced nutrition—maximizing harvests for all plants in the garden. Premium Gold All Purpose Fertilizer contains powerful MycoApply soil microbes that work synergistically and beneficially with the soil and plant root system to increase overall vigor and structure. Use in containers, raised beds, in ground plantings, and in compost tea. 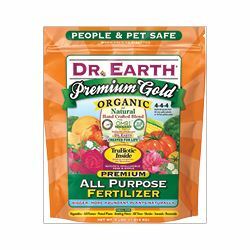 Keep your garden pure and organic with Dr. Earth Premium Gold All Purpose Fertilizer. Reiziger Bloom Minerals, Root Booster, Grow Booster, and Bud Booster are alive with pioneering know-how to help enhance the cultivation of all fruiting ad flowering plants. They offer demanding hydroponic craftsmen exactly what they need to afford magnificent harvests. In the early ’80s, the Seed Bank of Holland pioneered a revolutionary approach to breeding and set a new benchmark in plant cultivation assisted by specialized nutrient formulations. 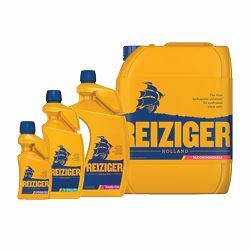 Kept a closely guarded secret, handed down from one generation of Dutch craftsmen to the next, Reiziger is born from these original recipes, giving them a heritage that delivers the same exceptional yields and flawless quality attained by Dutch breeders and growers since 1984. Forward-thinking formulation and a host of unseen technologies make Reiziger modern and dynamic. The company’s endless surge of power and invigoration sets it streets apart from others. Search for the ship on the gold bottle. 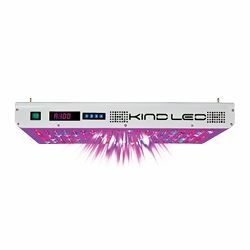 Utilizing the latest innovation in lighting technology, KIND LED has intelligently designed a world class product that completely redefines everything people should expect from a grow light. Both the KIND XL1000 and XL750 Kind LED grow lights are now UL Certified, meeting Federal requirements for electric product safety. Underwriters Laboratories (UL) is a nationally-recognized, independent product safety certification organization and is a required certification for commercial lighting applications. The lights offer both UV and IR spectra, a fully customizable 12-band perfect spectrum with remote control, a true 5x5-foot footprint, and Secondary Optical Lens Technology that magnifies PAR and increases canopy penetration by 200 per cent. The eight internal digital timers enable growers to program sunrise and sunset, which mimicks the daily sun cycles and creates perfect lighting schedules. Yet another reason to grow for hobby or commercially with the UL Certified Kind LED grow lights. The Natural Product Line from Supreme Growers was developed by their team of chemists, biologists, engineers, and educators using revolutionary new technology, with the goal being to create the cleanest natural products on the market. In addition to being completely natural, the soil inoculants and pesticides from Supreme Growers are highly concentrated formulas. 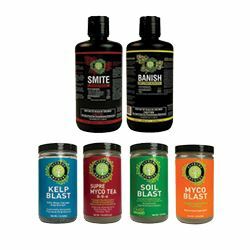 The soil inoculants use special blends of beneficial bacteria and fungi to help rebuild and revitalize soil and include Soil Blast, Myco Blast, Kelp Blast, and Supre Myco Tea. Utilizing natural plant oils, the natural pesticides from Supreme Growers will rid gardens of spider mites in the case of SMITE, and downy and powdery mildew with BANISH. Retailers can order now through Hydrofarm.